The German shepherd dog is a very polyvalent race. He can be trained to do all kind of things, for example, as a police or watchdog. He fits in perfectly in any circumstance due to his big emotional stability. 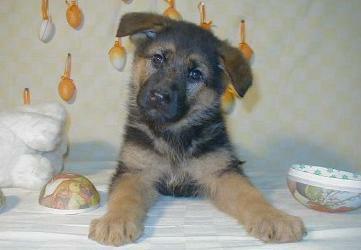 The German shepherd dog is suitable as a watchdog, a tracker, a family dog and even as guide dog. After a good education, he is reliable in the family and an excellent companion for the children. A weekly combing of his fur is enough for this typical watchdog of middle size.